Several weeks ago, my seven year old niece helped me move some of my things into the church office. At one point she asked me if I was a teacher. Hmmmm, I thought. I said something like, “well, I’m a pastor and I hope I teach too.” She thought a minute and then asked, “Do you own the church?” Again, with the hmmmmm. “Does a teacher own a school?,” I asked in response. She didn’t know the answer to that question and she quickly changed the subject. Her question has stuck with me. To be clear, in no way do I think that I own the church. In fact, I try not to refer to Rainbow as “my church.” We are church together, as pastor and as congregation, as those who have come before, who are here now and who will come in the future. If it was just me it would be a pretty pathetic Rainbow. That is why I hope this blog isn’t just about me, but us together. This leads me to ask: Any volunteers out there willing to take me around the church building in the coming weeks? I want to start photographing things I see around the church and hearing your stories. 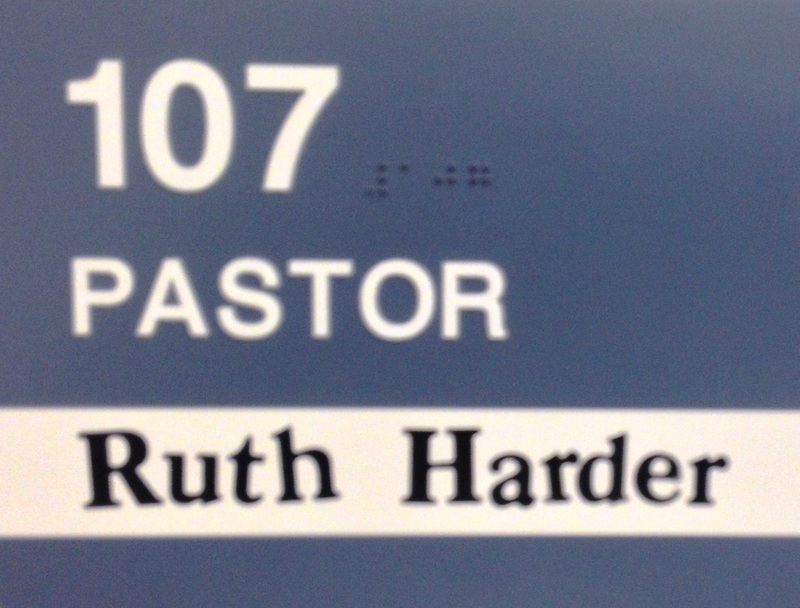 One more thing: Since the pastor’s office is number 107, I decided to read Psalm 107. Wow, what a psalm. Read it when you have a chance. Together, may we yearn for that spring of water, that river in the desert, that plentiful vineyard, and yes, that beautiful Rainbow.